Have you had habanero chili?? 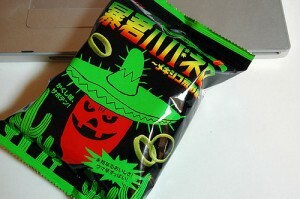 It’s one of the hottest chili peppers in the world. 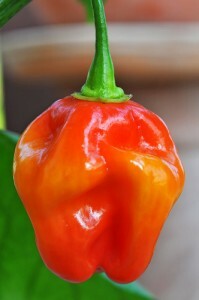 Besides the extreme heat, it has citrus-like aroma and flavor, and often used as hot sauces and spicy food. 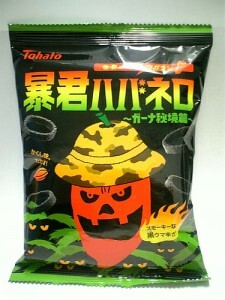 In Japan, habanero got popular since a Japanese snack company Tohato Inc. released “Bokun Habanero (Tyrant Habanero)” series. 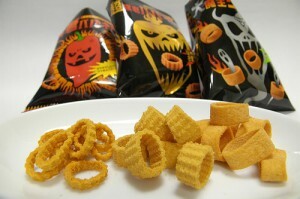 The left one is the original, the middle one is twice much as hot and the right one is another intense chili pepper, jolokia flavored. 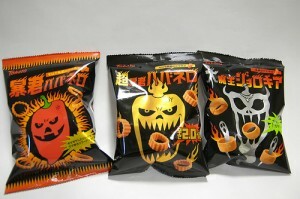 There are different unique flavored “Bokun Habanero” sold at markets. “The Wilderness in Mexico Version” has cactus as a secret ingredient, and cacao in “The Trackless Region in Ghana Version”.